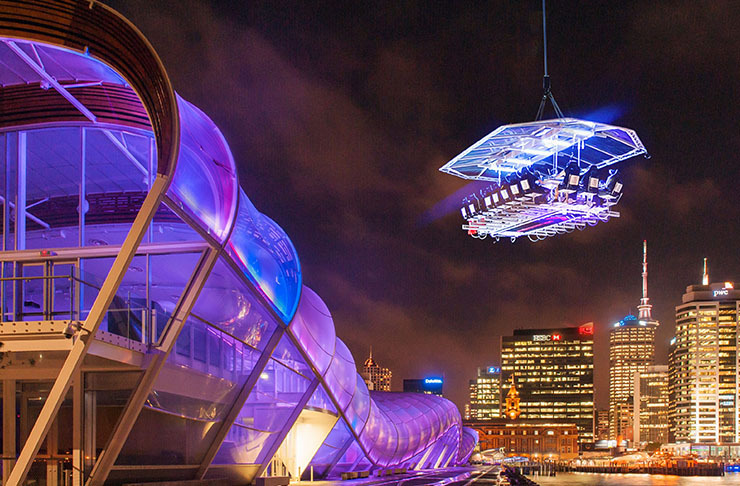 Showcasing some of New Zealand’s best restaurants and this year’s Air New Zealand Wine Awards winners, Dinner in the Sky will take your taste buds on a sky-high gastronomic journey – whether you’re joining in for one of brunch, lunch, cocktail, wine tasting or dinner flights. The intoxicating combination of excitement and serenity sat at the table in the sky is like no other. 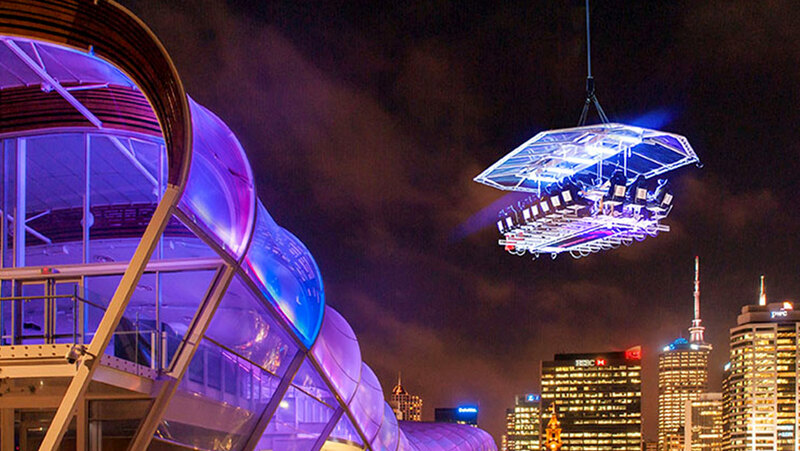 Suspended 50 meters high, you’ll enjoy fantastic views of the Auckland Harbour and back towards the city on the most exclusive and intimate chef’s table in town. Each day hosts seven flights: one brunch, two lunches, one wine tasting, one cocktail and two dinner flights. The table holds a maximum of 22 guests who are strapped into their seats so relax, you’re totally safe and secure. Some of New Zealand’s finest restaurants and most popular chefs will be taking part in this truly unique culinary festival in the sky including Master Chef judge and restaurant owner, Chef Simon Gault of Giraffe, My Kitchen Rules judge and host, Chef Gareth Stewart of Euro, restaurant owner, Chef Phil Clark of Phil’s Kitchen, Head Chef Fraser Shenton of Fish, Executive Chef Juan Balsani of Augustus Bistro and Chef Giulio Sturla, owner of the highly-acclaimed Roots, who’s flying in from Christchurch just for this event. To celebrate our new Lifestyle section, FashionTV hosted an exclusive lunch on launch day, joined by Colin Mathura-Jeffree, designers Wynn Cranshaw from Wynn Hamlyn and Andrea Manahan from Manahan Menswear, Aki from The Sleek Avenue, supermodel-in-training Sophia Frankish and hairdresser extraordinaire Richard Kavanagh. Chef Giulio Sturla prepared a menu of fresh tomatoes, line-caught snapper and a decadent dessert of white chocolate with a miso twist that would have taken our breath away – if the views and overall experience hadn’t done that already.